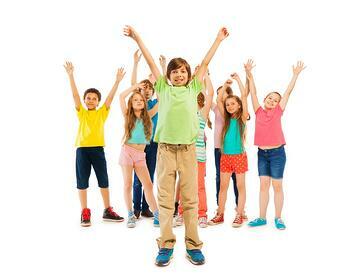 There's no doubt that the popularity of Summer Camps in Dubai is on the increase. Higer levels of work commitments from parents and the changing trend towards shorter summer vacations means that families are spending more time than ever before in Dubai during the summer months of July and August. However, while the popularity of Summer Camps is increasing, there are many reservations from parents who are looking for more for their children than what currently may be on offer. There are many variations of Summer Camps currently available focusing on a range of activities from sports activities to educational learning. Most children will be off school for at least 2 months and it's therefore important that, while they get the rest and relaxation that they both need and deserve, their minds should also be challenged through education and learning. This will help to ensure that your child's mind is stimulated and prepared for the new school year in September. Ideally, there should be a clear balance between both recreational summer camps and education-focused summer camps but that is often difficult to provide by a single service provider due to regulatory procedures here. The solution therefore is to enroll your child into a range of different programs in order to provide a more well-balanced and rounded experience during the summer. Communication: While it's important that your child participates in Summer Camp activities, it's also essential that their communication skills are also developed during this time and that their confidence in communicating is increased. These are highly essential life skills that can play an important role in the personal development of a child. Collaboration: It's also important that children learn to work with others as part of a team and play a variety of roles within the team. Built on the success of providing over 5 years of STEM for Kids Summer Camps in the USA, this year marks the launch of the STEM for Kids Dubai Summer Camps with our host partner Horizon School. Our programs are designed to not only educate and drive learning based on Science, Technology, Engineering and Maths principles, but to provide this in a fun and engaging way. It's scientifically proven that children learn and absorb more information when they are enjoying themselves and our programs have been create and tested for over 5 years to ensure that this is maximised for each child. © Copyright. Pure Minds Education Support Services. All Rights Reserved 2019.